Thus far I am highly impressed by the Kregel Exegetical Library. I have reviewed Robert Chisholm’s commentary on Judges and Ruth and Allen Ross’s commentary on book one of the Psalms (Psalms 1-41). Both of those volumes combined exegetical depth with homiletic insight. These are commentaries which are sensitive to genre, literary style, and the historic setting of the text. They also are written by critically engaged confessional scholars and chock-full of insights. Now Allen Ross has returned with a second volume on the Psalms. 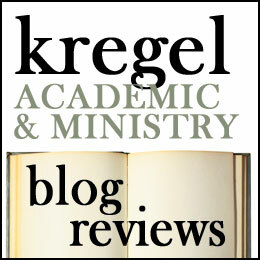 A Commentary on the Psalms: Volume 2 (42-89) examines books two and three of the Psalms. Because this is volume two of a proposed three volume treatment on the Psalms (Volume three planned for November 2014), this volume does not include the extensive and helpful introduction to the Psalms. Instead Ross jumps right into commenting on the text. Like the previous volume, Ross begins his commentary on each chapter with a fresh translation, notes on textual variants, a discussion of the composition and context, and an exegetical analysis. Then he provides a verse by verse commentary on the text. and concludes with a brief section on the message and application of the text. This format allows Ross to dig deeply into the language, history and message of the Psalms while drawing out the implications for our life now. Notice of material connection: I received this book from Kregel Academic for the purposes of my honest review. Theology is word care, or, if you like, Word care. Theologians explore sacred writ and tradition, reflecting on the meaning of words and Word. They help us see the full meaning and implications of our belief. This is what makes O Taste and See such a joy to read. Poet-Theologian and New Testament Scholar Bonnie Thurston turns her gaze on one of the best known and loved verses from the Psalms, Psalm 34:8, “O Taste and See that the Lord is Good; happy are those who take refuge in Him.” As only a poet (or Biblical scholar?) can, she explores the depths of the words, and helps us attend to what they mean for us. After a brief introduction orienting readers to the world of the Psalms and this Psalm, Thurston explores the first part of this verse (O Taste and See that the Lord is Good) by taking a ‘backward journey’ through it. She begins by reflecting on how ‘the Lord is’–God’s Being–His Is-ness (chapter 2). She then reflects on God goodness (chapter 3). God is revealed in Bible and made manifest in the world as good, gracious, as Love. Having established the identity and character of the God, Thurston invites us the feast. We are to ‘see God’ and ‘taste God.’ These sensory metaphors take us from the realm of theology to the world of experience. Thurston connects ‘seeing God,’ to the Word. This is where God is revealed to us, but who is it that sees God? The pure in heart and those who know that God’s Being provides the ground for their own being. Seeing is a metaphor for understanding, and our understanding comes as God reveals himself to us. She makes a nod toward Karl Barth for upholding the concept off revelation–God’s own self disclosure-over reason, though she expands his concept beyond the world of scripture, seeing God revealed in nature and religion as well (I can hear a Barthian nein here). Thurston relates ‘Tasting God’ to the sacrament of communion. When we come to the table we partake in a meal where Christ–God made flesh–is revealed to us. Thurston’s explication of this Psalm is enriched by her love of words. As she takes us on a journey reflecting on God’s ‘Is-ness’ and goodness, she also unpacks each word. Each chapter begins with etymology. 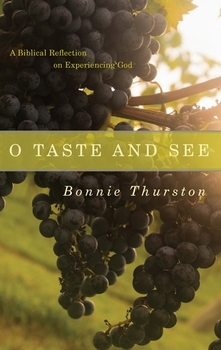 She traces the meaning of the words in the Bible (the Divine name, Goodness, Seeing, Tasting). She was a New Testament scholar and so gives more weight to the Greek (likely her strength) and prefers to discuss the Psalm’s words in the Septuagint. But as she does this, she traces these words forward, showing how the concepts of God’s Being and Goodness are described in the gospels and Paul’s letters. If I have one small critique it would be that I wish she explored the Hebrew world a little more (the language that gave us this psalm). One of the things I loved was the way Thurston synthesized and drew on a wide range of scholars and spiritual writers from diverse theological perspectives. Catholic, Orthodox and Protestant writers all provide Thurston with source material. She draws generously on a spectrum of theologians which include the likes of Sallie Mcfague and Dorothy Soelle on the one side and Alister McGrath and J.I. Packer on the other. This is an ecumenical book in the best sense. Despite the theological depth (and breadth) of this book, it is not a work of academic theology. This is a book about spiritual experience. In it, Thurston shares her own journey experience and understanding of this Psalm. It was in the basement St Paul’s Memorial Episcopal Church in the mid 70’s that she first heard and sang R. Vaughn Williams choral arrangement of “O taste and See”(xiii-xiv). That congregation, years of study,daily reading of the Psalms and prayer has also shaped her understanding. This book unfolds her deepening experience of God. She speaks with confidence in the being and goodness of the God of whom she has tasted and seen. And so I recommend this book to you. This is a theologically rich meditation on a single verse from the Psalms (okay, half a verse); yet Thurston attends to the full meaning of these words and invites us to experience the God who is good and the God who is. Happy are those who take refuge in Him. I give this book five stars: ★★★★★. I know that I’m not alone in loving the Psalms. Many of us have found comfort, strength and words for prayer. My own love for the Psalms was whetted years ago when I read Eugene Peterson’s devotional works (especially The Long Obedience in the Same Direction and Answering God). Since that time I’ve read many good many more books on the Psalms, some devotional, some academic. 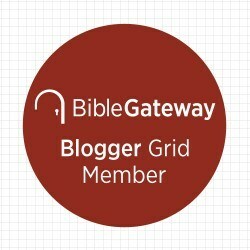 I have a short list of books I really like on the Psalms, and am happy to add a new book to my list! 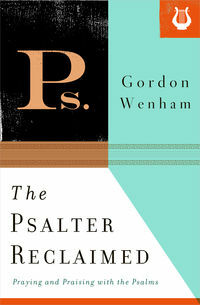 So I was excited when I saw Gordon Wenham’s The Psalter Reclaimed: Praying and Praising with the Psalms. Wenham is one of my favorite commentators and is an adjunct professor at Trinity College, Bristol. I have appreciated his writings but have never read his treatment of the Psalms. In the Psalter Reclaimed, Wenham culls together his lectures on the Psalms delivered between 1997 and 2010. Despite the occasional nature of these essays, there is a remarkable cohesion to the book as a whole. Wenham examines the liturgical use of Psalms and their personal devotional use in prayer. He also discusses the Messianic nature of the Royal Psalms (and in what sense they are Messianic), the ethics of the psalms, the value of praying the imprecatory Psalms, the vision of God’s steadfast love as expressed in Psalm 103, and the Psalm’s vision of the nations (enemies of God who at last lift their voice in praise). But Wenham is not simply writing a lay introduction. These essays also discuss how current scholarship enriches our understanding of the text. And so he shows how speech-act theory helps describe the performative nature of the Psalms, Canonical l criticism reveals the meaning behind the Psalm superscriptions and the internal organization of the book, he proposes a theological hermeneutic which takes the Royal Psalms past their historical-literary context into the realm of New Testament fulfillment, and he reviews historic and current discussions of the imprecatory Psalms and whether they may be appropriately prayed by Christians. Wenham’s skill as an exegete and a scholar are evident throughout. I especially liked his treatment on the ethical import of the Psalms because Wenham’s Story as Torah was the book that alerted me to the way ethics were embedded in Hebrew Narrative. In abbreviated form he gives a compelling case for the ethical use of Psalms to provide moral instruction and encourages modern readers to mine the Psalms for what it tells us about Biblical Ethics. Thank you to Crossway books for providing me a copy of this book in exchange for this review. The psalmist is aware of the isolation and loneliness of being a sinner. He remembers how his bones ached and his spirit withered. He knew that he was the recipient of God’s wrath. But then he confessed his sins–did not hold back anything but declared them all. And then he experienced absolution, freedom, total forgiveness and joy. With confidence he exhorts us to shed our obstinance and petty pretense and seek forgiveness from the God of grace. Have you experienced what the Psalmist describes? There was a time when I felt the weight of my sin and resented God’s goodness (if God weren’t so good, he wouldn’t demand so much would He?). But then I experienced God’s goodness afresh–His Grace abounding to my sin-sick-soul. And in that moment I felt loved by God and the freedom of forgiveness. But I am from a people of unclean lips and I have unclean lips. I don’t do confession well. I bet you don’t either. I feel like our gut response to sin in our lives is to pretend it isn’t there. Sure we aren’t perfect but we really aren’t that bad either, right? So we excuse our faults and make sure that we do more good than bad. We hide from the ugly parts of ourselves and we hide from one another too. And God. When God and others see us for who we truly are we feel exposed. We are naked and ashamed so we run and hide. What this Psalm suggests to me is that another way is possible. To the extent that I have bared my soul to God in confession I am able to latch on to the forgiveness He offers through Christ. It is when confess our sins that we know the freedom of forgiveness. What we hold back from God, God will not bless. What we give to Him is transformed in His hands. I pray for myself that I would be bold in my confession and honest with myself about where my thoughts, words and deeds hurt the ones I love. In better moments I pray that for you too. Join me in confession and let us experience the freedom of God’s forgiveness together!